Notes: Among adults 18 to 64 years of age. 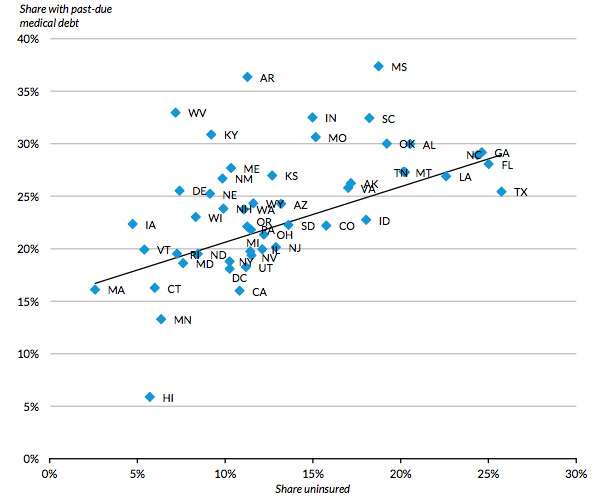 The correlation between state-level estimates of past-due medical debt and uninsurance (0.62) is weighted by census projections of state population size in 2015. Data Source: National Financial Capability Study, 2015. This entry was posted in Data Watch on March 8, 2017 by Genevra Pittman.